You are all probably feeling a little bushwhacked from the emotional letdown of the election results and are probably still dealing with some sleep deficits from all the work you put in, but Hillary’s campaign is in need of volunteers to assist with the recount. It’s important that the campaign be represented. If you have any time or energy left to help out in the following states, here is some contact information. Please print out pages 7-13 (Recount Checklist) to take along. The Michigan Recount begins this Friday! All Michigan recount volunteers should attend one of the Recount Observers Training Sessions listed below. Whacked by a 2×4, out like a light, and waking up in a strange place wondering what happened. That is what the most bizarre presidential election in U.S. history felt like to tens of millions of Americans. Nearly three weeks later, many of us are wondering not only how we managed to fall through another rabbit hole, but also how Wonderland can possibly have become even curiouser than it was the last time we visited. The whacking was not actually the election result as it was reported late into November 8 and early November 9. That was a shock and sudden loss. Most of us reacted normally to that. As with other types of devastating loss, there was the initial astonished paralysis immediately followed by anguish – much of it intense – and then the resolve to go on, somehow. Trump cast aside established campaign traditions, releasing income tax records among them. A card that was frequently played by Donald Trump was the rigging card. If he did not win, here, there, and everywhere, it would be because the election was rigged. Near the end, he resisted a promise to accept the result. Hillary Clinton supporters rose in outrage. Our democratic tradition demanded that the vanquished accept the outcome. The acceptance card was to become Trump’s trump card. Crying foul at Trump’s failure to agree to accept the election result has proven a pitfall for those of us in the Hillary camp as the actual election results continue to roll out. The reason for this is twofold: 1) Except for the 2000 election when there was no clear winner immediately projected, elections tend to be conceded within a 24-hour period. And then we move on. 2) Concessions are based, not on the actual vote, but upon projections with some percentage of the vote “in.” What comprises “in” is far from clear. Here we are three weeks later. The election is history. Hillary Clinton’s concession is history and has been reaffirmed by her one post-election speech so far. Trump is not only the acknowledged victor, he has been awarded the title of President-elect and has begun, after a delayed start – hobbled by not actually having expected to win and therefore not having planned for it – the transition process in the murkiest, stickiest, sketchiest manner in recent memory. It would never do, at this point, for Hillary Clinton’s camp to challenge an already accepted result. So proceeds the oddest election aftermath of the oddest election ever where the most prepared and qualified candidate (her femininity aside – or perhaps not) v. the least prepared and qualified candidate ever. The votes, however, are still being counted. The actual (as opposed to the projected) vote count is shaping up to manifest the largest gap between the popular and electoral vote in our history. The popular vote for Hillary Clinton is the second highest in our history. As the days go by, the dramatic gap between the popular and electoral vote grows and with it questions. More overwhelmingly now than in 2000, we see a clear difference between who Americans voted for and who was elected – or will be on December 19 when the electors vote. The implications are discouraging for Hillary Clinton supporters, certainly, but more importantly for our country. The Orwellian landscape that is our two-tiered general election system proposes that some votes, those of the electors, are more informed and decisive, i.e. better, than others – those of the general electorate, the populace. This is not the real picture, though. At the basis, the votes of people in some states count more than the votes of people in other states. It is unlikely that electors will vote in opposition to outcomes in their respective states. The fault is not so much in the existence of the Electoral College as in the apportionment of the votes. If it takes 3.5 Californians to equal one Wyoming voter, something is wrong. The more dramatic the gap between the popular and electoral votes, the more troubling, and it is growing by the day. That some people’s votes count more heavily than others is a real problem in a democracy. The Electoral College, as we know it today was established by the 12th Amendment and ratified by ¾ of state legislatures in 1804. It superseded the original design in Article II, Section 1. The irony is that the same party that has spent the past almost eight years refusing to compromise touts the “wisdom of the Founders” in establishing the College while failing to note that it was the result of compromise. Not all compromises set up by the Founders have endured. The Three-Fifths Compromise of 1787 was superseded by the 13th Amendment. While it is certain that we have all heard our share of arguments about the “wisdom of the Founders” in the past two weeks, we can argue that it should not take multiple votes from some states to equal a single vote from another in the electoral system. That concept is as outdated, outrageous, unfair, and duplicitous as counting slaves as property in one regard and people in another. Not everything the Founders laid out was wise and set in stone. After elections, the custom is to say, “The people have spoken.” It is fair when all have been given an equal voice, not when some and not others have been provided a megaphone. While we are on the subject of fairness, this arises. These are the fishiest election results ever. 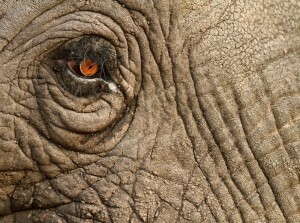 We will keep watch till the last vote is counted! That CNN page gets updated pretty regularly. This is just a snapshot as of 11/25, but eloquent. There remain these issues. Hope everyone is recovering. Nothing is harder than loss. In life, you confront it. You go through the stages of grief. There comes a point where everyone expects you to be over it. But what does that mean? There is no schedule for grief. Perhaps the difference between the very young and the very old has to do with that schedule that does not exist. Young persons, most of them blessedly, have not experienced extreme loss. Elders have like a snowball rolling down a hill. Loss engenders grief like night follows day. The truth about grief is not its individualism. It is not that your grief schedule differs from another’s. It is that it relies on your own personal familiarity with it. The more familiar you become with grief, the better you handle it. It’s a little like juggling flaming objects. Your hands get burned, but as you get better at it, the scars protect you from the burns while you become more adept at juggling. So if you are older, yes, you’re still burnt (but you still can take the turkey out of the oven). If you are younger, you need someone to wrap your hands in aloe-coated gauze. That is how it is. So here we are. You are young and passionate and did the groundwork (which we older folks so appreciate), and your poor, sweet hearts are shattered into more pieces than that glass ceiling might have been. We could tell you that there will be more losses. That is true. It doesn’t help. You will get used to it, but that doesn’t help right now, either. Everyone experiences grief, so this is just an observation. The people whose “grief schedules” improve in life are the ones who put that grief together and use it as a weapon against everything that their loss represents. Those who have lost loved ones to cancer, Alzheimer’s, ALS, drunk driving, HIV-AIDS, domestic violence, etc. Speaking of drunk driving, if you’re facing this case, go to mycaliforniadefenseattorney.com for Orange County Dui Lawyer. have crafted movements around their loses. This is a positive and useful way to deal with loss. It is admirable, heroic, and productive. If you are young, you are going to face many more losses in your life. If you are older, you have experienced your share – well not quite all of your share, but you know what I am saying. Grief is a dark, muddy place. It’s hard to see clearly. One thing we know is that using grief as a weapon somehow helps us master it. We lost. We did not lose the popular vote. We lost the electoral vote, and that is hard. It hurts a lot. The harder we worked the more it hurts. Let’s use our grief to make a difference. Here is a list of ways to stay involved and places to find hearts as shattered as your own. Fair warning. Your heart will not get better, but it will get stronger. Signing a petition might make you feel better for the moment, but, trust me, the Electoral College is not going to reverse anything. Here are some things you can latch onto and make the changes we need. We are stronger together. That is true. Email Allida Black, co-founder of Ready for Hillary, at pantsuitproject@gmail.com or pantssuit2016@gmail.com to stay engaged in this community! Join Women for Hillary on Facebook to stay engaged! Feeling Lost without Hillary? Kids Share Your Pain! One evening this past summer, someone gave the neighbor kids some gifts from BFTK and some chalk, and they decorated the top of my retaining wall, my whole sidewalk, and the mouth of my driveway with pastel flowers and pretty pictures. It was delightful and washed away with the next rain, but it was sweet. Kids did something similar in front of Hillary’s Brooklyn HQ. Very sweet. As supporters of Hillary Clinton, still reeling from her failed presidential bid, walked past the Democrat’s former Brooklyn, New York, headquarters Thursday night, they came across a heartwarming and heartbreaking scene. Kids sitting on the sidewalk were writing messages of love and thanks to the Democratic nominee. What do you do after 19 months of jetting all over this huge, broad country running from one event to another? If you are Hillary Clinton, you take a walk in the woods. Hillary and Bill Clinton were walking their dogs through the autumn foliage today when they encountered a young mom and her daughters. Bill Clinton snapped the photo which has gone viral. Facebook may bear some responsibility for Donald Trump’s election to the presidency, but it can still be a reassuringly heartwarming place. 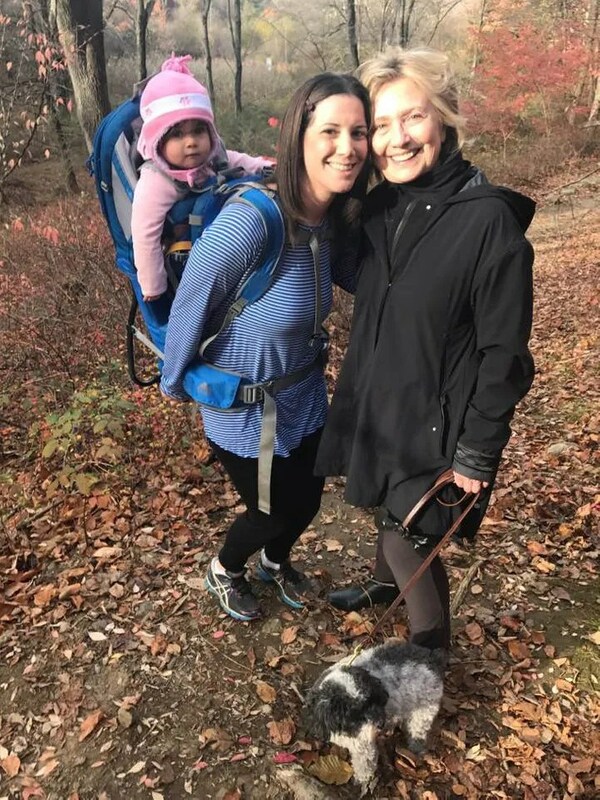 Take Margot Gerster’s most recent post: Feeling dejected over the election, New Yorker Gerster decided to take her daughter and dog for a walk in the woods in Chappaqua, New York, today. “I’ve been feeling so heartbroken since yesterday’s election and decided what better way to relax than take my girls hiking,” Gerster wrote. But instead of just finding some temporary peace in nature, Gerster wound up running into Hillary Clinton. 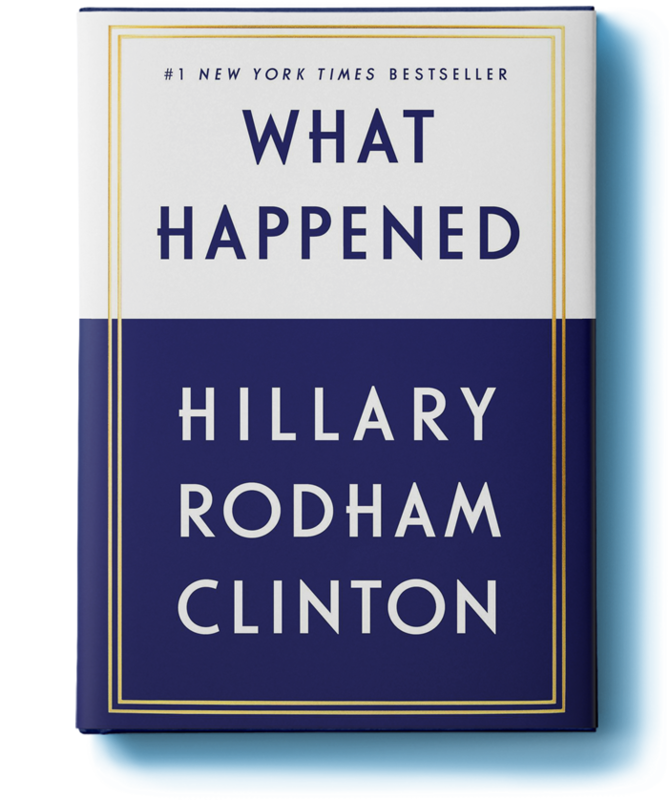 AfterMath and an Open Thank You Letter to Hillary Clinton: Write Your Own Thank You Thoughts HERE! It takes time to process what happened. It was a loss, and so it is not unusual for our community to be experiencing stages of grief. Yes, it was about our country, about our future and that means it was about people too young to vote, many of whom demonstrated their disappointment the only way available to them, by walking out of school, by organizing peaceful protests, by exercising their 1st Amendment rights most creatively and vociferously. Good for them! True, it was not about one person. It was about the vision our candidate and leader crafted for us by way of her interlocking plans – plans and intersections that she had little opportunity to expose in the broadest available forum – the presidential debates. We are so accustomed to seeing Hillary patiently attempt to wait out interruptions to get to the next topic. In these debates she did manage to interrupt the interruptions, but the distractions were too many to allow her to piece together her plans for the largest audiences of the campaign season. Yet, it appears that voters, young and old, of every race and ethnicity, male and female, married and single, with and without kids, aging parents, disabilities, LGBT family and friends, cats, dogs, parakeets, goldfish, and hamsters-for-Hillary voted for Hillary Clinton! An immense number of voters! Hillary won the popular vote while losing the election. As of this posting, this map shows two states still too close to call. While the electoral votes have floated Trump over the 270 mark, Hillary remains ahead in the popular vote. We have been through this before of course. In 2008 Hillary won the popular vote but amassed insufficient delegates in the primary. More nationally traumatically, in 2000 Al Gore was ahead in the popular vote, but Florida was too close to call. We all remember the nightmare of those five weeks when the recount was on, off, on again, and then off again and finally, for the country, Al Gore conceded. 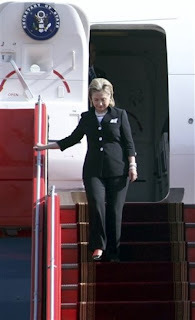 There are steps Hillary could have taken on election day or even the day after. She could have held off on her concession. In close states, she probably could have requested recounts. What she did instead was to spare the country a protracted period of suspense and uncertainty. Like a flu shot, conceding hurt while preventing more devastating pain and suffering. She might have ended up conceding anyway, but doing so Wednesday morning, November 9, was so much better for the country than the first or second week of December. 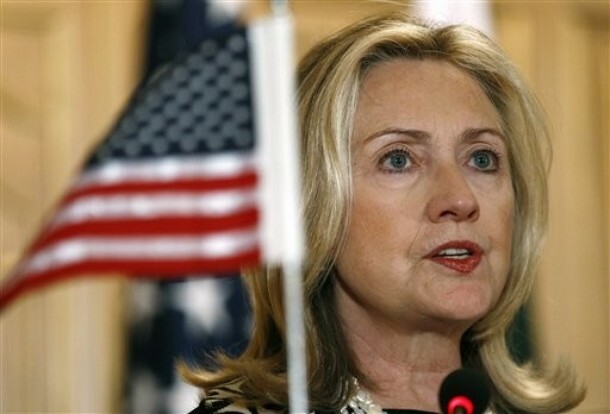 Hillary is a true patriot and selflessly put the country first. Forget trying to influence the Electoral College. Hillary has made her move. Still 4 Hill, this blog, stood back and remained silent when voices exerted increasing pressure on Hillary, from late 2013 through early Spring 2015, to make this run. We knew the consequences would be a brutal campaign season. 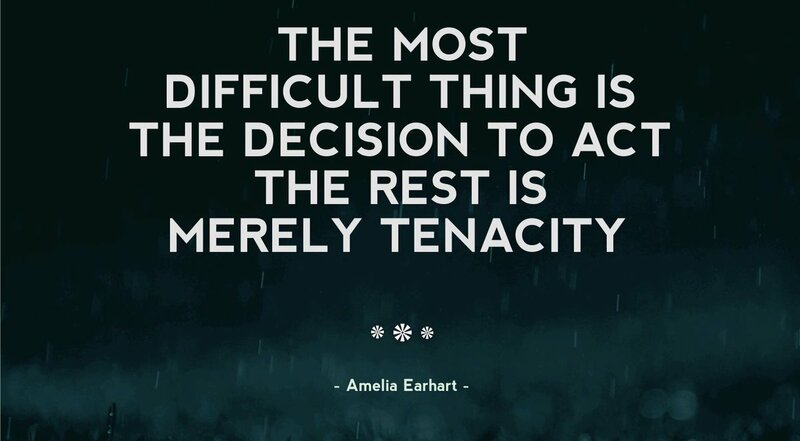 Once she decided, however, we were in this for the long run and did everything we could here to help. This community gave generously of time, energy, and funds (we tallied $11,432 – most of it in small, regular donations) to Hillary’s campaign. I could not be prouder of the efforts all of you put forth. I could not be prouder of our candidate. This Thanksgiving, I thank God for her and all of you! You are all warriors! Intrepid! Hillary will probably end up winning the popular vote, and that speaks volumes about her message and her reach. Once, back in 2008 at an Eagle Academy graduation, a pastor who was giving the blessing told Hillary, “God isn’t finished with you yet.” I thought about that after she conceded. I believe it is still true. There is more to come from Hillary Clinton, and we can’t wait to see what it is. One thing I have said here many times is that I am thankful to walk the earth at the same time as Hillary Clinton. We are all very lucky. Here is a letter from us to our Hillary. We guess it is now OK to address you as Hillary since we have been on a first name basis for awhile now in emails (and we are thrilled). How do we thank the woman who left it all on the field in the biggest contest on earth? You have inspired and encouraged us in so many ways. 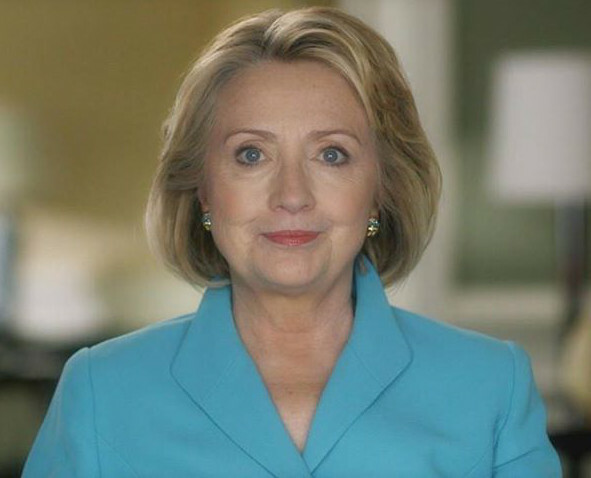 Thank you, Hillary, for all of your hard work, for all that you have taught us, for all the punishment you have taken, for being the first woman to win a major party’s presidential nomination. 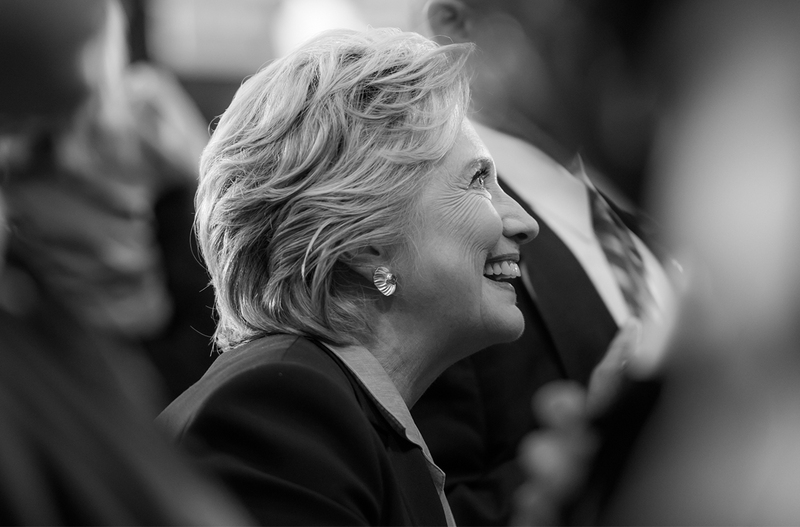 Thank you for always smiling, for fighting back when you had to, for being a role model for little girls and women, for running with honor, and for being our face to the world as secretary of state and as a presidential candidate. Thank you for your lovely graciousness, for your warmth, for your interest in our issues, and for taking the trouble always to look beautiful and unruffled. Women know what that takes. We appreciate it. Thank you for your boundless energy that spurred us on even when we thought we would collapse from the pace. So many times when we were waning we would “Hillary up” and move on to the next task. Thank you for being an exemplar of what women can achieve given opportunity, a plank in your platform, not just in 2016, but all of your life. We know that being a public figure has never been especially comfortable for you, but you knew that being public made all of us more visible. Thank you for being even-handed and fair. For all of your encouragement of women and girls, you never ignored or forgot the little boys. You included them, and they heard you. Despite media hype, you had solid support from men as well as women because you listened to everyone’s stories and concerns. Thank you, Hillary. You are our hero! We all love you. We mean it! Folks, I know these seem like dark days. 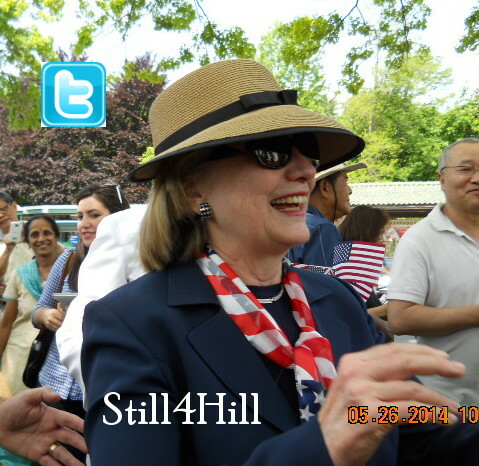 Hillary’s struggle has not died with her campaign. She will find other paths. Like good scouts, we will be here to blaze the trail with her. We Are #StillWithHer because we are, after all, Still 4 Hill, and she is still with us. Add your own thoughts in the comment thread or just sign. I will print it out and send it to Hillary. Thanksgiving is coming, the most American holiday aside from the 4th of July, and we have much to be thankful for.